Found on the southern coast off of Alaska, Kodiak Island is the largest amongst the archipelago. The main city, Kodiak, is the hub from which all connections with the rest of the world go through and will be your starting point when exploring this wondrous location. Having originally been inhabited by Alutiiq natives for over 7,000 years, and then the short-lived home of the Russian Crown, there is so much history and culture here. 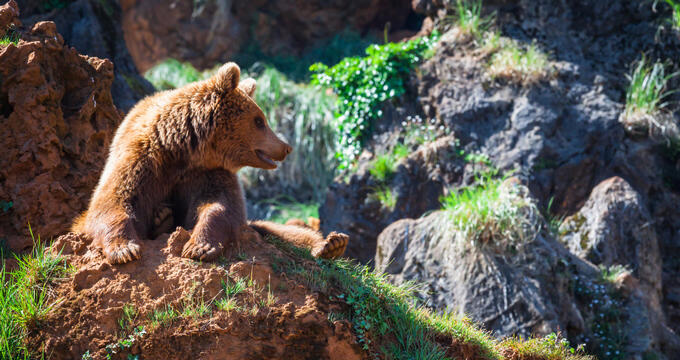 Spend your time exploring the outdoors at one of their many state parks, where you’ll surely come across wildlife such as their bear population, deer, elk, seals, whales, eagles, and more. Fort Abercrombie State Historical Park is steeped in natural and cultural resources that are worth exploring during a visit to Kodiak. The natural beauty of the park is extraordinary, and you’ll be able to walk through wildflower-laden meadows or stand over towering cliffs. Visitors in the park will come across the historic ruins of a World War II coastal defense installation. Other activities and amenities include hiking, swimming, fishing, or camping in one of their tent or RV campsites. For a more comfortable visit, they have additional amenities such as picnic sites, toilets, as well as fresh drinking water fountains. 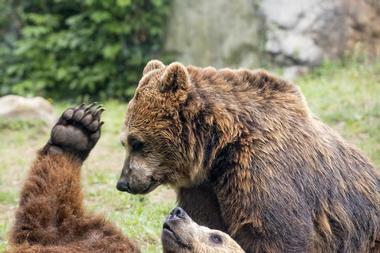 The Kodiak National Wildlife Refuge was established in 1941 by President Franklin D. Roosevelt in an attempt to protect the distinct Kodiak brown bears and their habitat. Today, the refuge keeps the pristine island ecosystem intact, allowing wildlife to thrive in the expansive acres of mountains, streams, lakes, wetlands, grasslands, forests, and meadows. The habitats sustain over 3,000 bears, 400 breeding pairs of bald eagles, over 30 million salmon, and multiple other species of fish, birds, and mammals. Start your exploration of the refuge at the Visitor Center, as it will properly guide you on your journey to wildlife viewing, environmental education, hunting, fishing, and camping in one of their secluded cabins. 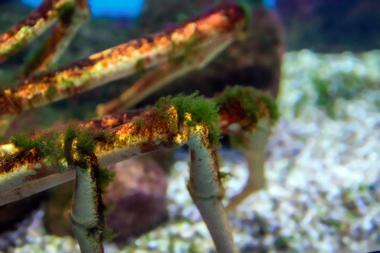 Located within the Kodiak Fisheries Research Center is the Kodiak Laboratory Aquarium & Touch Tank. The large, freestanding aquarium holds over 3,500 gallons of water and various species of fish that visitors of all ages love to watch during their visit there. You can hold and feel several intertidal organisms in their touch tank, which represent major marine invertebrate phyla in the region. The fish that is housed in the aquarium, as well as the touch tank, are collected from the waters around Kodiak Island to display the extensive array of life that can be found in the area. To preserve, explore, and celebrate the culture of Native Alutiiq communities, the Kodiak Area Native Association’s Culture and Heritage Division established several island-wide programs dedicated to sharing the Alutiiq language, art, and history. The Alutiiq Museum opened to the public in the summer of 1995 and houses and executes a number of exhibits, programs, events, and publications. Through their many displays, you’ll be able to learn about the Alutiiq/ Sugpiaq people, indigenous plants, and about their native language. Several temporary exhibits and workshops are housed as well, including a hands-on exploration of Alutiiq arts which may be displayed in their growing gallery. 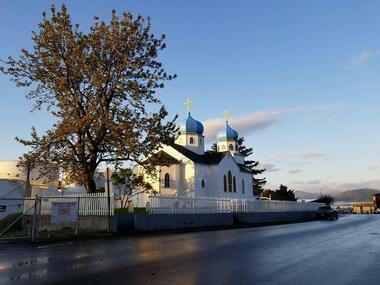 The Baranov Museum, which is operated by the City of Kodiak and the Kodiak Historical Society, is housed in the oldest building in Alaska - popularly called the Russian American Magazin. The museum houses several exhibits which display the stories of the land’s people, culture, nature, art, and history. Exhibits vary throughout the year, with one of the most popular being of the Sami Reindeer indigenous people and how they adapted to the surroundings and lived off the land for generations. The West Side Stories exhibit documents the unique stories and photographs of people who lived by, taken by local photographer Breanna Peterson. Attracting veterans and visitors from all over, the Kodiak Military History Museum has several displays and exhibits dedicated to the land’s military heroes and history. The museum itself is housed in Fort Abercrombie’s Ready Ammunition Bunker. 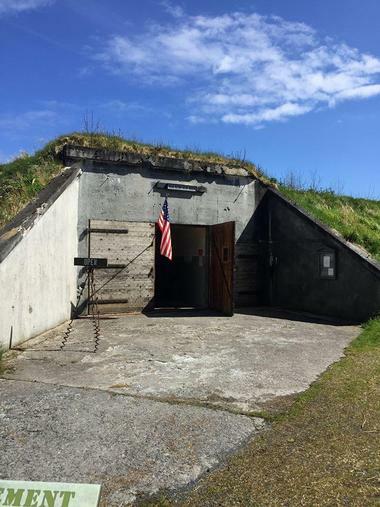 The bunker, located at Miller Point, was built by Navy SeaBees of CB-43 in 1943. Within and surrounding the building, visitors will be able to see the remains of two eight-inch gun mounts, several gun barrels, and many other aspects. Several of the artifacts on display there include model telephones, typewriters, newspapers, artillery shells, vehicles, uniforms, and more. Orthodox Christian missionaries first landed on Kodiak Island in 1794 and one of the original members of the missionary team was Father Herman. He was a monk from the Valaam Monastery in northwestern Russia and devoted his time to building the Kodiak Archipelago and running a school for orphaned children on Spruce Island. He bonded with the native Alutiiq people and taught them the basic principles of Orthodox Christian Faith as well as new carpentry skills, agricultural techniques, and other crafts. Presently, the St. Herman Theological Seminary trains students and shapes prospective candidates who yearn to be religious educators, church readers, and be a part of the Holy Priesthood and Diaconate within the church. 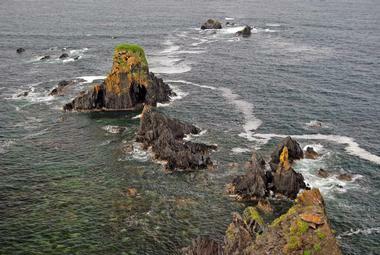 Favored by locals and visitors, North End Park is situated on Kodiak’s Near Island. The park is popular with hikers, as the trail is great for those who just go on an occasional walk as well as avid hikers. The trail is extremely well maintained, clearly marked, covered, and winds through the lush forest setting. During your walk you’ll come across scattered benches where you can sit and enjoy the views of the beach, the town, or the fishing boats on the channel. The trail at North End Park goes by the Kodiak Fisheries Research Center, which has an aquarium and a touch tank for visitors to enjoy. At three miles long, Pasagshak River is one of the most outstanding places in Kodiak to go fishing. The stream empties into the Pasagshak Bay and is home to several species of salmon including salmon, chum, pink, and silver. During your exploration of the area you may be able to see several other coastal and wildlife animals such as dolphins, whales, seals, brown bears, eagles, and more. You can spend your time fishing, kayaking, or beach combing; there are several tent and RV campsites near to water, toilet, and picnic facilities for guests who want to stay overnight. Taking up a majority of the island, Shuyak Island State Park encompasses a coastal forest, several beaches, miles of rugged coastline, and several protected waterways. During your exploration of the area, you will be able to see much of the land’s flora and fauna including the Sitka Spruce which is unique to the Kodiak Archipelago. There’s tons of opportunities to go hiking on their intricate trail system, hunting, fishing, and kayaking. Visitors are invited to go camping at Shuyak Island State Park as they have four public-use cabins which are located amidst the lush forest near the edge of the water. Each cabin comprises the main wood shed, which is fitted with sleeping platforms, a wood stove, and a basic supply of cooking pots and pans, though groceries need to be purchased prior to your arrival. Afognak Island State Park was identified in 1892 and is one of the first places in the United States to be recognized as a conserved area. There is an outstanding wildlife and salmon habitat within and surrounding the park, making it an amazing place to view the animals in their natural surroundings while also providing recreational opportunities for fishing, hunting, and hiking. Most of the park is pristine and in its natural state and you may come across Sitka black-tailed deer, Kodiak brown bears, Roosevelt elk, and much more. There are two public-use cabins for visitors to stay overnight in, each of which includes sleeping platforms, a wood stove, and basic cooking supplies and utensil accommodation up to six guests. Kingfisher Aviation allows you to access parts of Kodiak and the rest of southwestern Alaska that are otherwise difficult to visit on other modes of transportation. The floatplanes will take you over majestic mountains and fjords while also providing transportation services to wilderness lodges, cabin rentals, and fishing drop off points. They offer several sightseeing tours as well, many of which are focused on viewing the area’s thriving bear population, as well as whales and deer in addition to the scenic surroundings. There are two floatplanes, both of which are led by professional and experienced pilots, and each person will be able to communicate with the others through a voice-activated headset. Sea Hawk Air is owned and operated by experienced pilot, Rolan Ruoss. 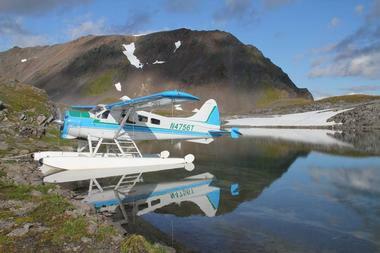 He has been flying over the Alaskan Peninsula and Kodiak Island since 1979 and started Sea Hawk Air in 1987. The company focuses on providing a high-quality flight experience year-round, whether it be on one of their many sightseeing and wildlife viewing tours, or for transportation and other personal flying needs. There are many activities and amenities offered by Sea Hawk Air other than wildlife and bear viewing, such as sportfishing, hunting, bird watching, trekking, rafting, kayaking, and beach combing. You may also choose to go hiking/ camping in a remote destination with the experienced guides or rent one of their lodges or cabins for your stay. Kodiak Wildlife Tours offers a range of day tours for visitors who want to explore the stunning sights and wildlife of the area but don’t know where to start. The experienced professionals only conduct one tour a day, each lasting from four to five hours, and only accommodate small groups of four to five people so that everyone has an enjoyable experience that is personalized and dedicated to them. 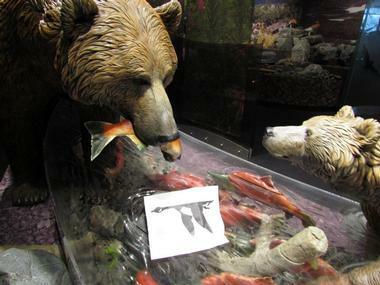 You may be able to see bald eagles, pacific salmon, sea otters, and Kodiak brown bears. All of their tours, whether it be a nature walk, for wildlife viewing, or photography-focused, comes with a gourmet lunch filled with local flavors and treats. 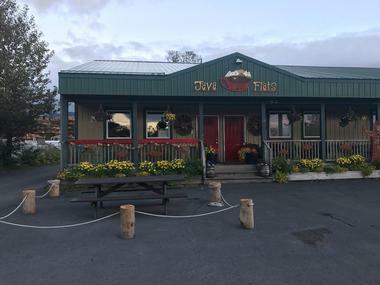 Located in the breathtakingly beautiful Bell’s Flats area of Kodiak Island, Java Flats is a popular place to relax and have a wholesome meal as well as a cup of java goodness. They handcraft delectable foods which you can enjoy for breakfast or lunch in a cozy and relaxing atmosphere. Some of items that are available include their gourmet soups and sandwiches, scrumptious salads, and fresh baked goods. Diner can feast on bowls of delicious oatmeal covered in raisins or candied walnuts, have a bagel of their choice with a range of homemade spreads, or try a smoothie made with frozen fruit, yogurt, and 100% fruit juice. 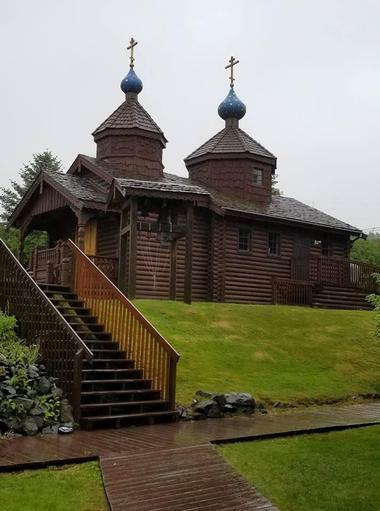 The Holy Resurrection Russian Orthodox Church was founded in 1794 and can only be access by air or boat as it is located on Kodiak Island. The cathedral is a well-known landmark in the community and is one of the most recognized buildings in the area. The structure that visitors see today is the fourth building that represents the church and was built in the 1940s. There are several architectural and decor aspects that are unique to that time period and location. One popular aspect is the continuously-burning lampada which was gifted to the cathedral by His Holiness Patriarch Alexis II; holy oil from the lampada is distributed freely to pilgrims and used to anoint the sick and suffering. Henry’s Great Alaskan Restaurant is a family-friendly establishment that has been serving fine food in an entertaining atmosphere since 1957. They are a staple of the Kodiak community, concocting meals made with fresh ingredients and pairing them with a range of local beers on tap. The restaurant is a great place to really get a sense of the people who live there; the walls are filled with local, historical art and artifacts from the area’s history. They have several large-screen televisions to watch sporting events with buddies as you sip on a cold brew. Favorites from their menu include Henry’s crawfish pie, the Alaska smoked salmon, and their grilled Kodiak scallop kabob. 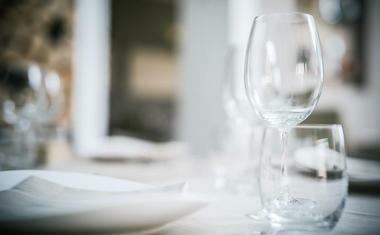 The Chart Room Restaurant, which can be found within the Best Western Kodiak Inn, is a fine dining experience unlike any other. 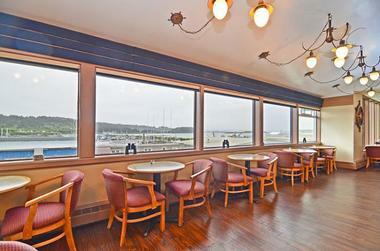 The full-service restaurant and lounge is conveniently located to overlook Chiniak Bay and St. Paul Harbor; there’s a chance that you will see eagles, sea lions, and killer whales frolicking off the harbor as you have your meal. 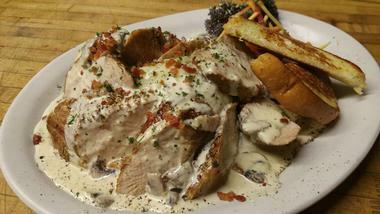 They have a wide array of items on their menu, which serves both breakfast and dinner. Popular choices include their prime rib, grilled shrimp pasta, Alaskan fish and chips, and their Alaska King Crab, which is served all year long. The Kodiak Hana Restaurant is popularly known by locals as the Old Powerhouse Restaurant, which was its former name. The restaurant is housed in what was once an electric company’s generator plant and was started by a Japanese chef who visited Kodiak and loved it so much that he decided to stay. You’ll be sure to have delicious food as well as an overall amazing experience when you dine at Kodiak Hana. The menu is filled with Japanese and Asian-inspired culinary concoctions that are full of flavor. Don’t miss out on trying their sushi and sashimi combination, which comes with miso soup or salad, or their scallop and shrimps which is cooked in a spicy garlic teriyaki sauce. The Kodiak Island Brewing Company was founded in 2003 based on a dream and passion for fine craft brewing. 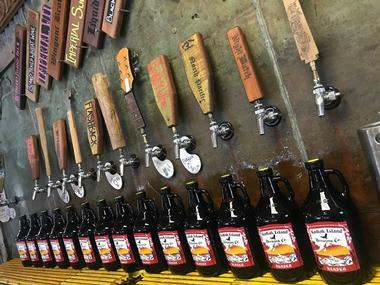 They are the only brewery on Alaska’s emerald island and presently have a wide variety of premium beers which combine tradition and modern innovation. The beers are concocted in a 10-barrel system that is made with pure island water and fine imported specialty malts or organic base malts. Local favorites include the award-winning Spruce Tip Wheat Wine as the renowned Snowshoe Session IPA. Visit their taproom to sample new beers, socialize with friends and fellow travelers, or purchase hats, shirts, and other brand merchandise.